The compact crossover category is immense and it's expected to grow another 25% in the next few years. All the main players have an entry and most have been entirely or mostly updated in the past 18-24 months. 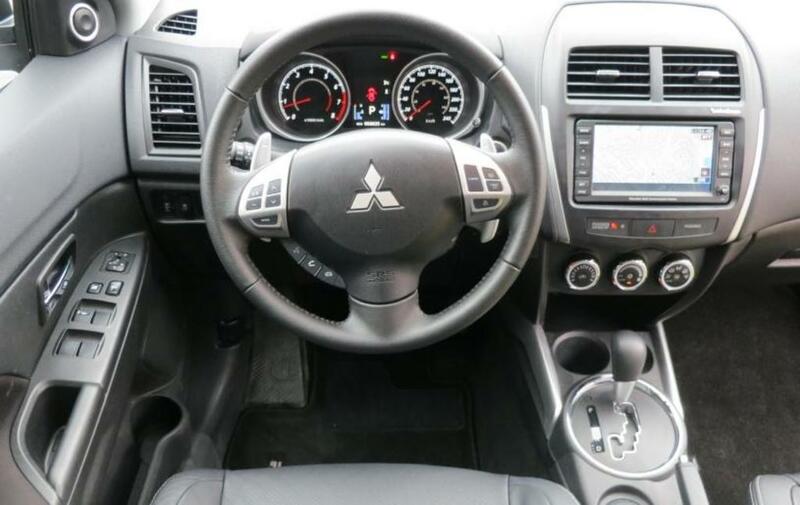 Among those is the Mitsubishi RVR which was first introduced as a 2011 model. The RVR has received a mild update for 2013. The front and rear bumpers and fascias are new and the prominent trapezoidal grille has been redesigned. Interior changes include new fabrics and a new control switch for the AWD system. Under-the-skin changes are limited to suspension upgrades to improve the ride and the CVT automatic transmission has been recalibrated for better performance. Based on the Outlander but wearing different sheet metal, the RVR seats five (four comfortably). It is available in ES ($19,998), SE ($22,298) and GT ($28,988) trim levels. The ES and SE come with front-wheel-drive and a five-speed manual transmission. A Continuously Variable automatic is optional on the SE. Mitsubishi’s renowned all-wheel-drive system, paired with the automatic transmission, is a $3,400 addition to the SE and standard on the GT. Standard on all RVRs are: air conditioning, heated front seats, tilt-telescope steering wheel, cruise control, power windows and locks, remote keyless entry and a four-speaker,140-watt audio system. My top-of-the-line test vehicle had numerous upgrades, including automatic climate control, 18-inch alloy wheels, HID headlights, a fixed sunroof, a Rockford Fosgate audio system and satellite radio. It also boasted a $3,500 Premium Package, which added a navigation and music server with 40-GB hard drive, leather seats, power driver’s seat and rear view camera. The bottom line topped $34,000 putting it in pretty heady territory. Unfortunately the performance does not warrant this premium price. Mitsubishi has an international reputation for engineering and performance, based mostly on powerful, turbocharged engines, highly-efficient all-wheel-drive systems and major success in world rally circles – primarily in EVO form. That DNA didn't get passed along to the RVR. The normally-aspirated 2.0-litre four-cylinder engine puts out a rather meagre 148-horsepower and 145 lb-ft of torque. It is smooth, quiet and a fuel-sipper under low-stress situations. But, when coupled with the CVT transmission, it's loud and slow when asked to perform. It takes a leisurely 11.5 seconds to reach 100 km/h from rest, which is near if not at the back of the class. And getting there isn't pleasant to the ears either. In more normal operation, the CVT continually raises and lowers engine revs looking for maximum efficiency, which is the only upside to the gearless gearbox. That said, I averaged slightly more than 10 litres/100 for the week-long period I had the RVR, which is reasonable for the class but far from impressive. Transport Canada says the RVR is capable of 6.6 litres on the highway and 8.4 in the city, but not in my driving regime. The interior of the RVR is class-competitive in terms of fit, finish, quality of materials and space. The instrument panel is clear, informative and free of unnecessary bling and distraction. 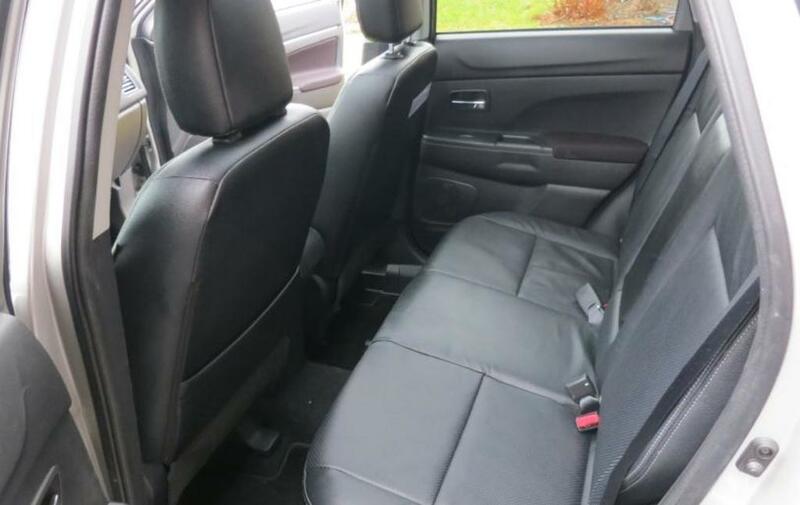 The front seats are wide and supportive and the 60/40 split rear seat has ample room for two adults, although they will have to squeeze through a relatively narrow door. Audiophiles will love the nine-speaker, 710-watt audio Rockford Fosgate audio system that comes as standard equipment in the GT trim level. They will also be willing to sacrifice a little cargo space to the sub-woofer mounted back there. The cargo area is covered and comes with a quartet of tie-down hooks to help keep things in place. As much as I disliked the transmission, I have to give kudos to Mitsubishi’s electronically-controlled all-wheel-drive system. A console-mounted switch lets the driver choose between front or all-wheel-drive or to lock the front and rear axles for maximum grip in tough situations. Both ride and handling are reasonable for such a tall and small vehicle. Modifications for 2013 have improved ride quality on rough surfaces without detracting from the ability to tackle the turns with some alacrity. At speed, once the engine has settled down, the RVR is quiet and smooth but there is a fair bit of wind and road noise to keep company with the sound of the engine. There is a lot of choice in this class. 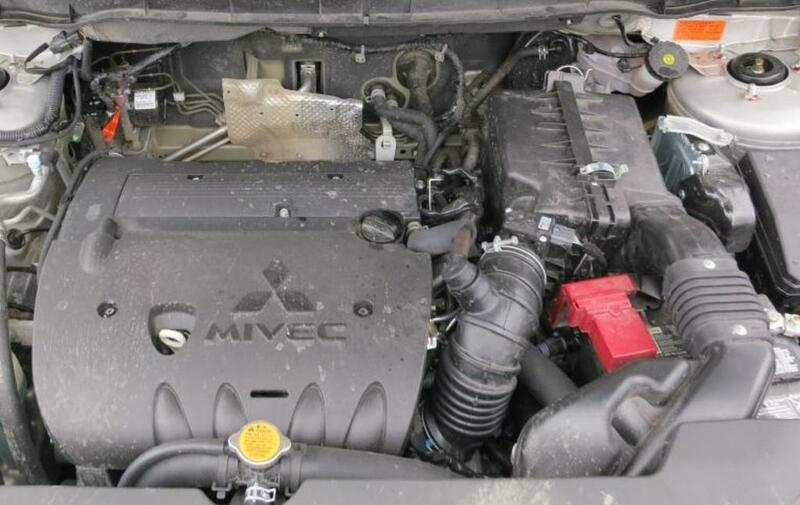 What separates the RVR from the pack, more than anything else, is Mitsubishi's 10-year, 160,000-km powertrain warranty, plus a five-year warranty on most everything else, which ensures that nothing more than routine maintenance costs until you're past the last payment.